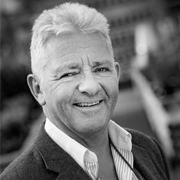 Simon Quinton Smith is a Fellow of the Royal Institution of Chartered Surveyors and has been the leading specialist in the Garden Centre & Horticultural industry for 24 years. He is an RICS registered valuer and business valuer. He is also a specialist panel valuer for horticulture and garden centres to the Agricultural Mortgage Corporation Plc. and to most other lending financial institutions. He is an accredited Expert Witness in his field and is regularly instructed to provide expert advice to the courts. Simon Quinton Smith wrote the chapter “How to Value Garden Centres” for the Second Edition of the “Law and Valuation of Leisure Property”, published by the Estates Gazette.